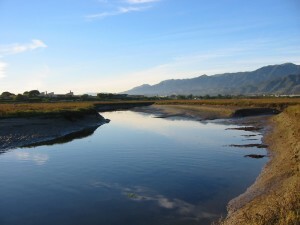 The Carpinteria Salt Marsh is one of the largest and most ecologically important coastal estuaries in California. In 2008 the Land Trust completed a four year restoration project to provide better wildlife habitat, opportunities for scientific research, and ways for the people to visit and learn about the coastal environment. A new pedestrian bridge connecting the Carpinteria Salt Marsh Nature Park and the Land Trust public trail and habitat restoration area was opened in March 2008.Work was funded in part by more than $100,000 in community donations while the following agencies provided over $1,950,000 in grants to the Land Trust for ecological restoration: State Coastal Conservancy, U.S. Fish & Wildlife Service, County of Santa Barbara and National Oceanic & Atmospheric Administration. Deciding to preserve part of the marsh, 11 families living in the adjacent Sandyland Cove sold their part of the marsh to the UC Natural Reserve System (NRS) in 1977. 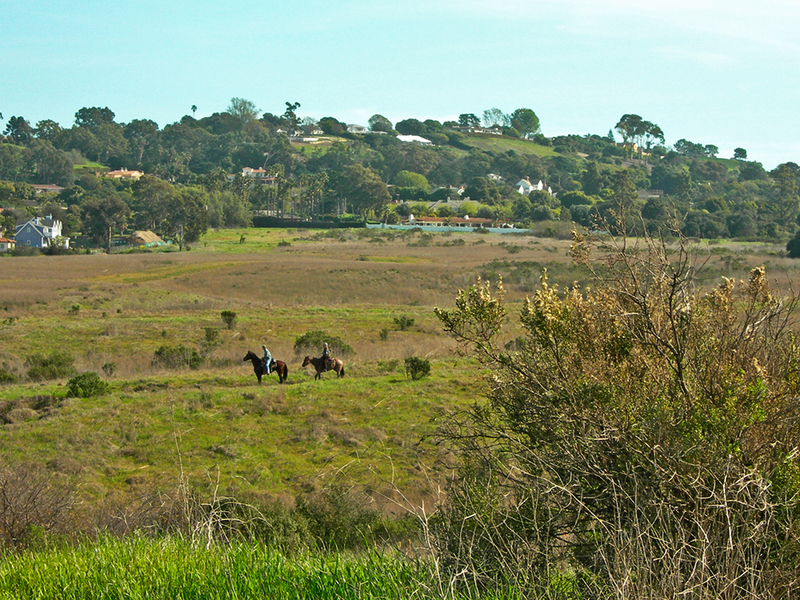 Later, when faced with proposed development, a partnership including the Land Trust, State Coastal Conservancy, City of Carpinteria, UC Natural Reserve System, County Flood Control District and adjacent homeowner associations purchased the remaining portion of this valuable coastal wetland. The marsh is now a busy, healthy ecosystem filled with rare birds, fish, snails, sharks and plants. Nestled between homes, agriculture, nurseries, the railroad and freeway, the marsh is one of the last remaining coastal estuaries in California. Less than 10% of the historic wetland habitat exists in California, and this 230-acre reserve is one of the only places left where the land meets the ocean, providing an essential environment for numerous plants and wildlife. The Nature Park is open during daylight hours every day, and docent tours of the nature park are available. Call the City of Carpinteria Parks and Recreation Department at (805) 684-5405 for a schedule of docent led tours.From Hwy 101 southbound, take the Linden Ave. exit 86B. Turn right onto Linden and continue toward the beach. Make a right turn at 3rd St. and continue until the street ends, turn onto Ash Ave. and park. 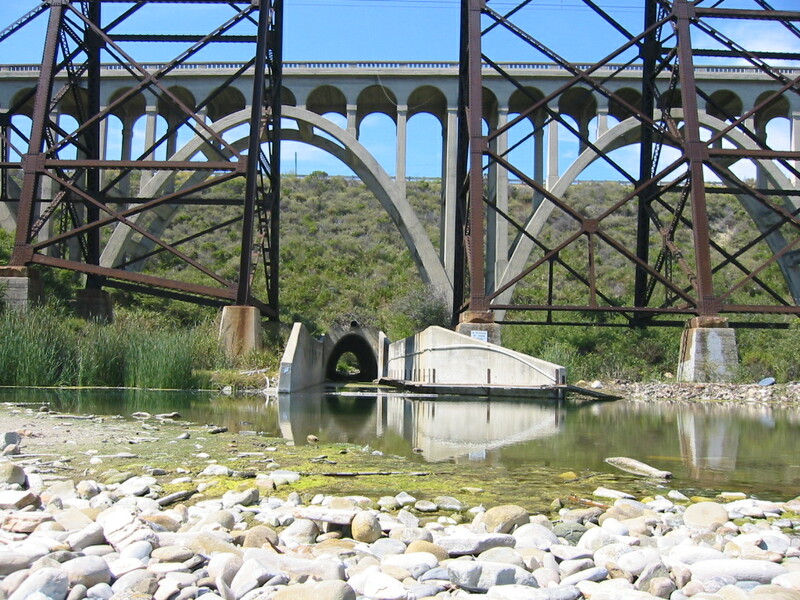 The Carpinteria Salt Marsh Nature Park lies along Ash Avenue. 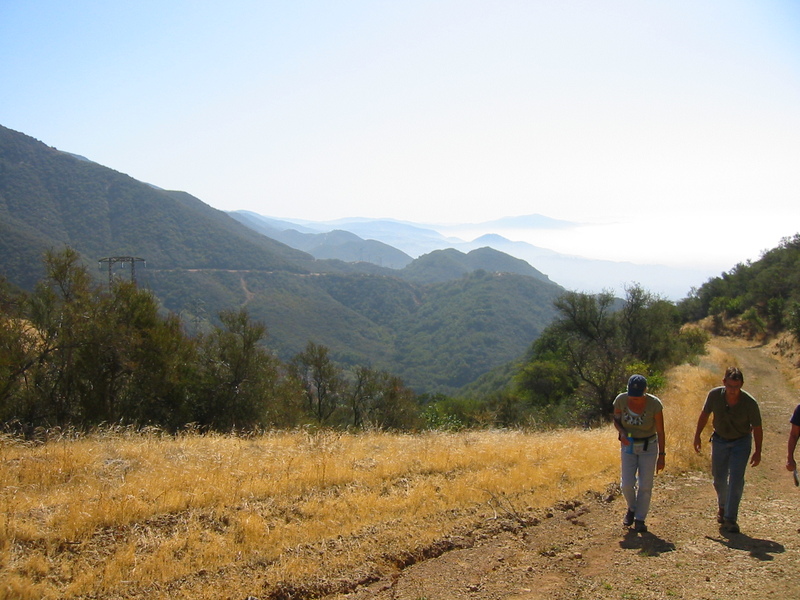 Following the trail toward the mountains and to the west will take you to the Land Trust pedestrian bridge, public trail and restoration area.From Hwy 101 northbound, take the Casitas Pass exit 86. Turn left onto Casitas Pass and turn right on Carpinteria Avenue. Go about a quarter mile and turn left onto Linden Ave. continue toward the beach. Make a right turn at 3rd St. and continue until the street ends, turn onto Ash Ave. and park. 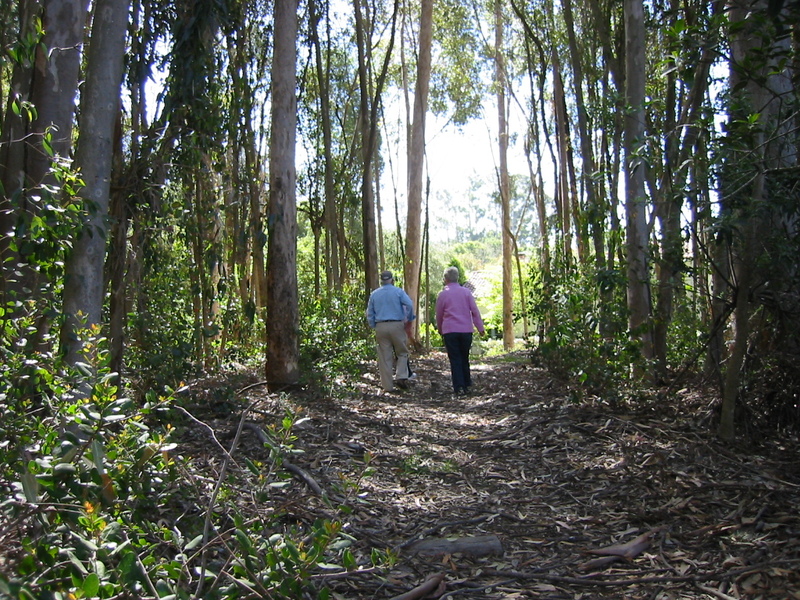 The Carpinteria Salt Marsh Nature Park lies along Ash Avenue. Following the trail to the west will take you to the Land Trust pedestrian bridge, public trail and restoration area.